updated through inspection or manual checking. How to Correct the Exception Table? · How to correct the exception table? required to consult golden copy. Name can help us in identifying the gender of the person. 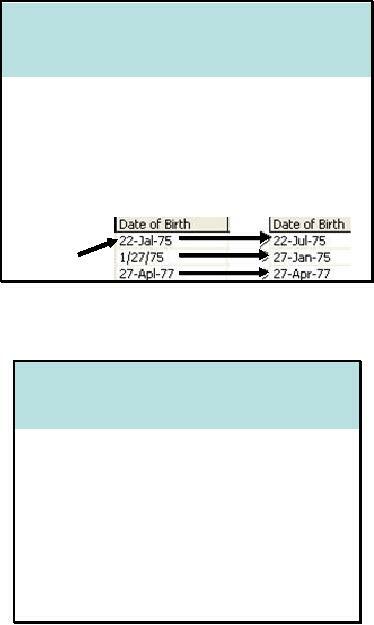 · Copy distinct first names to "Gender guide"
This table can serve us as guide by telli ng what can be the gender against this particular name. 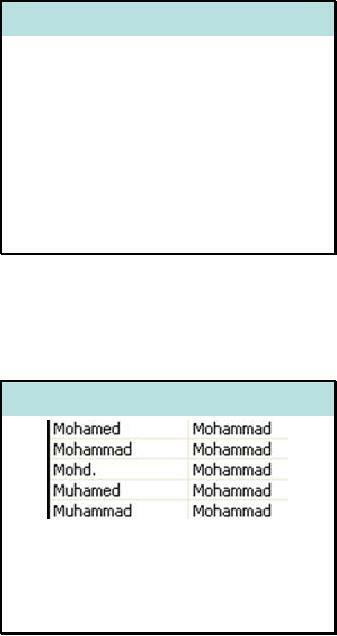 For example if we have hundred students in our database with first name equal to `Muhammed'. set the gender as `Male' against `Muhammed'. Gender_guide table. We will get the gender against matching names. conversion i.e. N needs to be reflected in meta data. manually just by inspection of names. · Cant fill hundreds of gender values by hand! rows manually just by inspection of names. 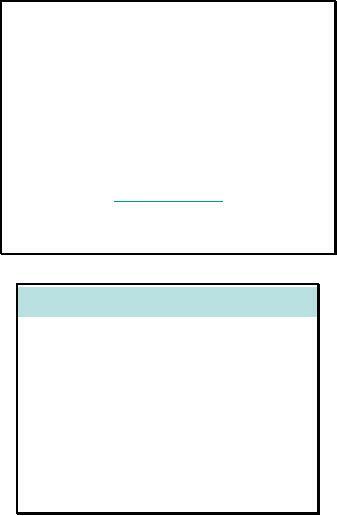 The slide shows the results of the above query. We can see that first incorrect date is 22-Jal-75. errors can be corrected without consulting golden copy. time of creation. 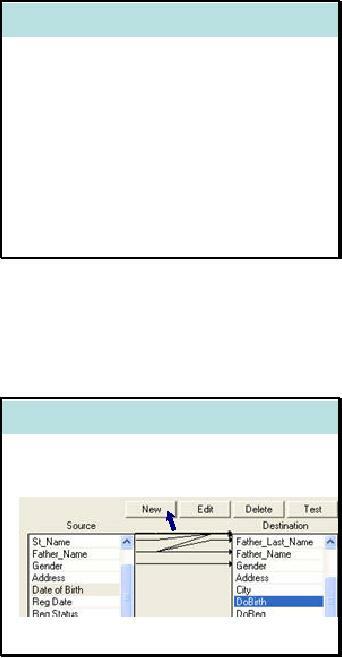 Same is the case with all other columns. joining with the table Gender_guide we created earlier to find the missing genders. 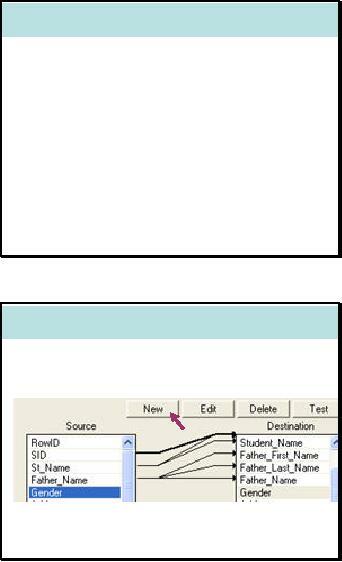 problem at the time of loading Student_Info table. Package'. As a result DTS Designer interface would open. 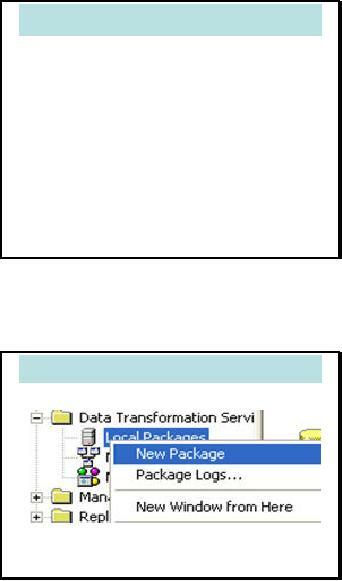 through SQL Server. 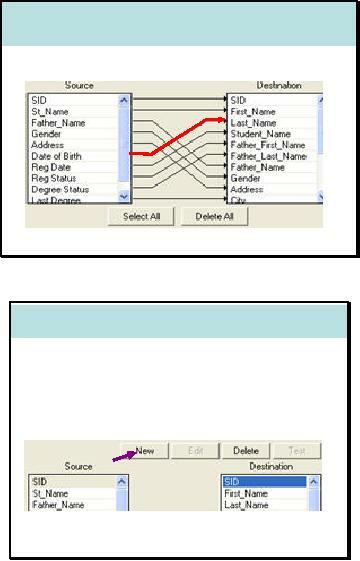 At this stage our source is Student table in Lahore_Campus SQL database. 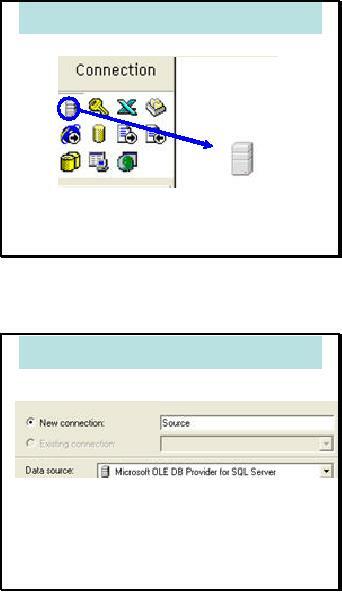 Therefore, for source connection we click at the SQL Server icon and drag it to the desing area. 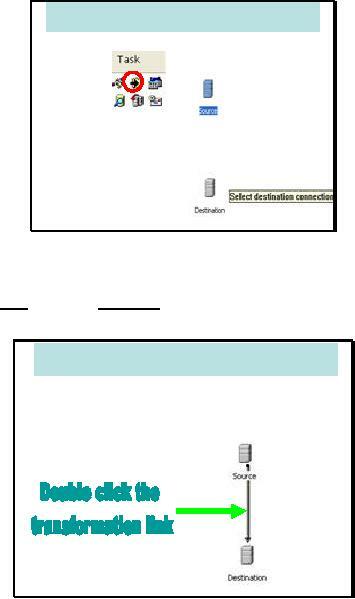 properties of connection we are required to specify the name of destination database as well. connection and then click on the destination connection. applied) we need to double click the transformation link. 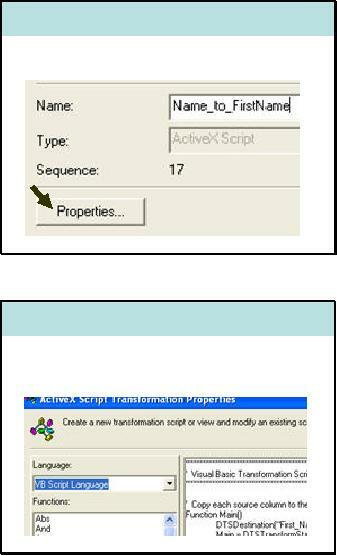 Double clicking the transformation link opens a dialog box with five tabs. Source tab let us define the source table. Destination tab let us define the destination table. In this case both will be the same. done can be completed by these three tabs. 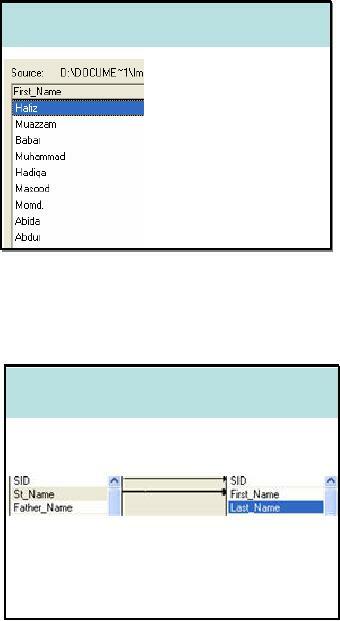 tables and views available in the database specified while setting the properties of the connection. In this case source table is student. 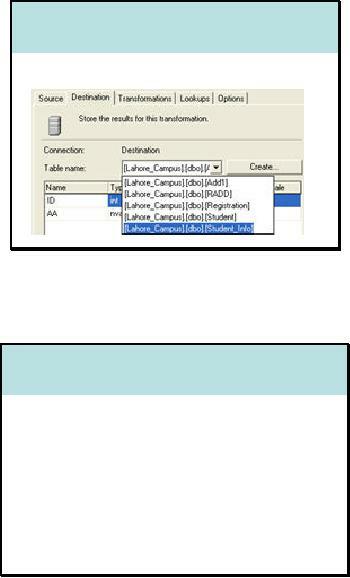 to select the Student_Info table from the drop down menu. optimizer does not transform genders (from 0/1 to M/F) or names etc. The slides show the mappings done by designer itself, delete all of these mappings. destination list box. In both tables the first column is SID. Student ID Transformation: Copy Col.
transformations. 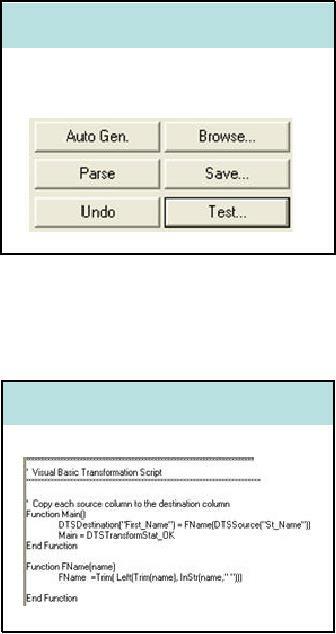 Select Copy Column transformation and press OK.
the same properties dialog box would appear. 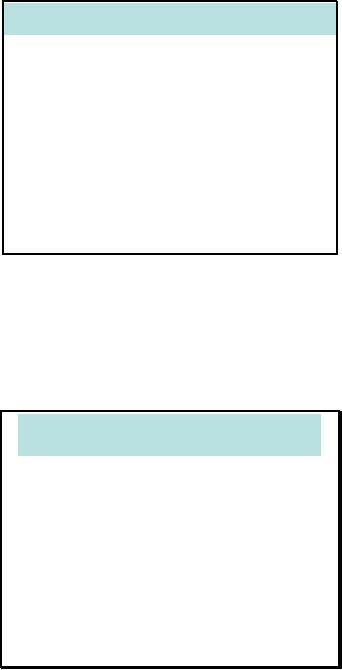 the same properties dialog box would appear. .
both of the columns get highli ghted press the new button. 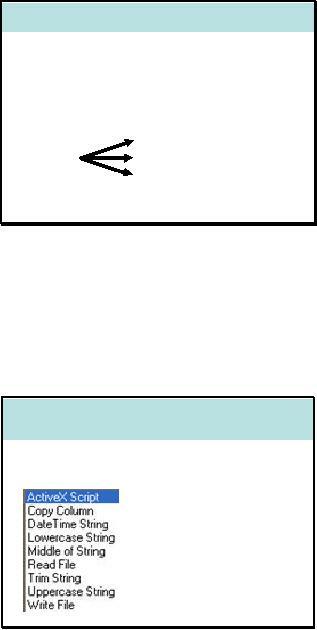 Name the transformation and press `Properties' to write script. VB Script should be selected in the dropdown menu. destination list box and press New button. 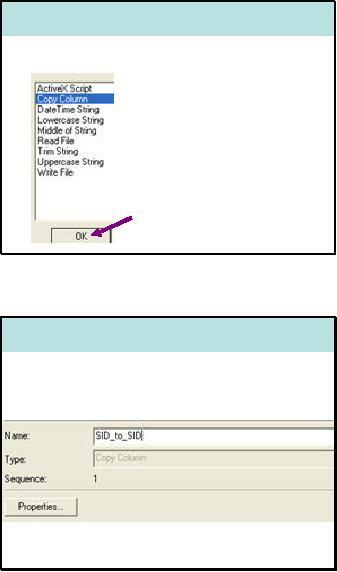 The slide shows VB Script for separating last name from full name of the student. Link for one to many transformations looks like the one shown in the slide. We need to apply similar one to many transformation to father name column. 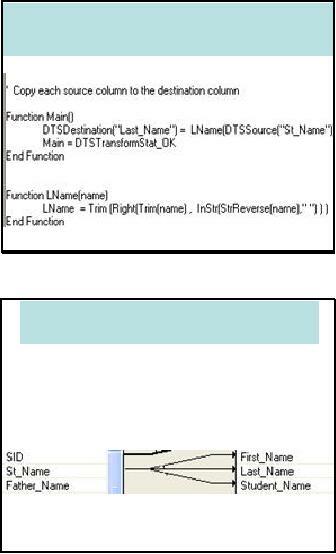 The slide shows the activeX script to standardize the gender convention. Test run shows that the script is working fine. column. 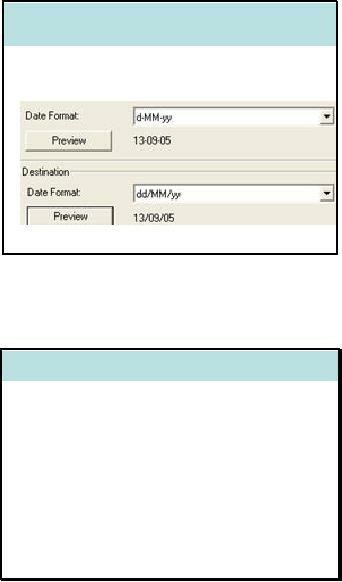 In the second box select the format for destination and click ok . Similarly perform remaining transformations including Registration Status and Degree Status . 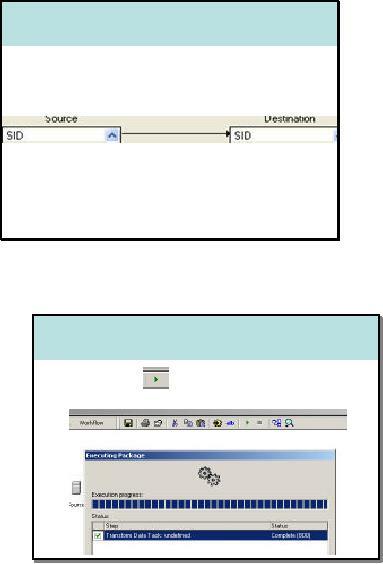 perform standardization for Names, Addresses and Last degree. students. 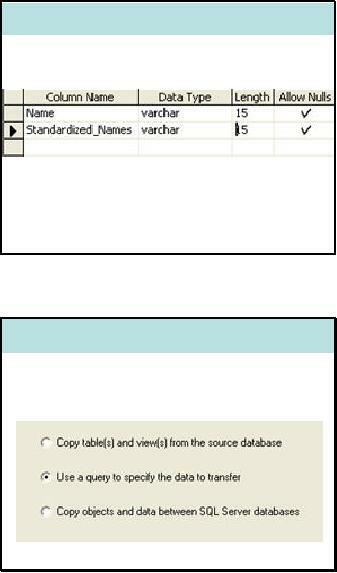 Create a new table with two columns `Name' and `Standardized_Names'. 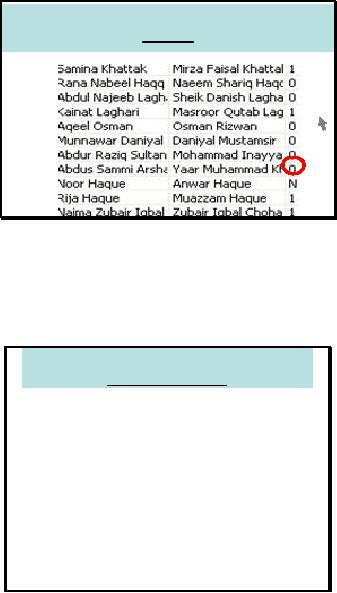 to select distinct names from Student_Info table. loading them to SName table in ascending order. spellings in Standardized_Names column manually.